So many people are not conscious about the amount of sugar they use. But do they really now which effects it has on our bodies? Eating sugary foods can cause your blood sugar levels to spike and then drop, leaving you feeling moody and… hungry. It’s important to realize that the food you eat has a big influence to the body shape but also to the energy and the mood. I think it’s a good reason to start taking care of it and do the best we can for our body. 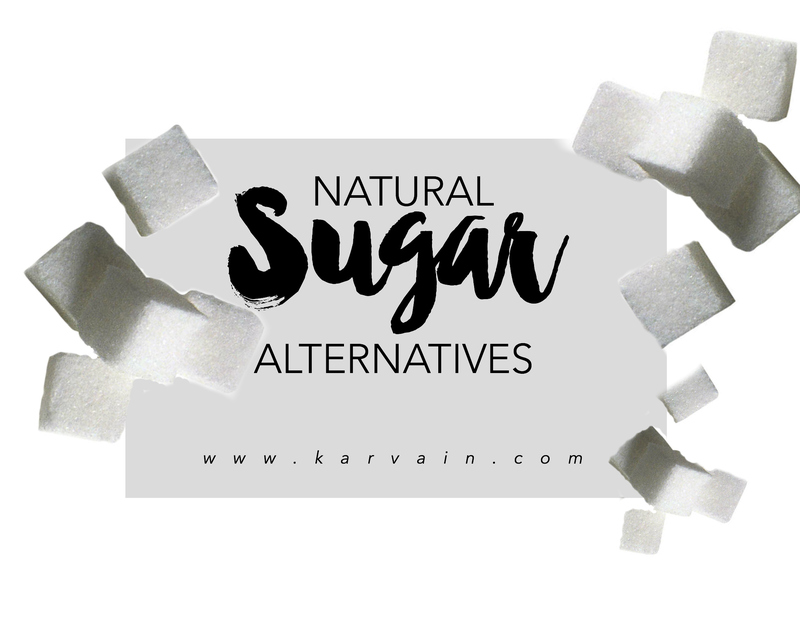 My article today is all about my 3 favorites natural sugar alternatives and sweeteners, which you can use in anything. Raw honey is a great sugar alternative because it’s easy to use! From your morning oats and smoothies, to baking recipes and marinades for your meats, raw honey is always useful. Easy tipp : the darker the honey, the stronger the flavour and the higher the nutrient value. To replace 1 cup of sugar, use ½ to ¾ of a cup of honey. It’s a popular sugar alternative that it is produced by boiling down the sap of the maple tree. It is naturally very sweet and can be can used in the same way as you use honey. It is great with natural yoghurt, over pancakes or in baking recipes. 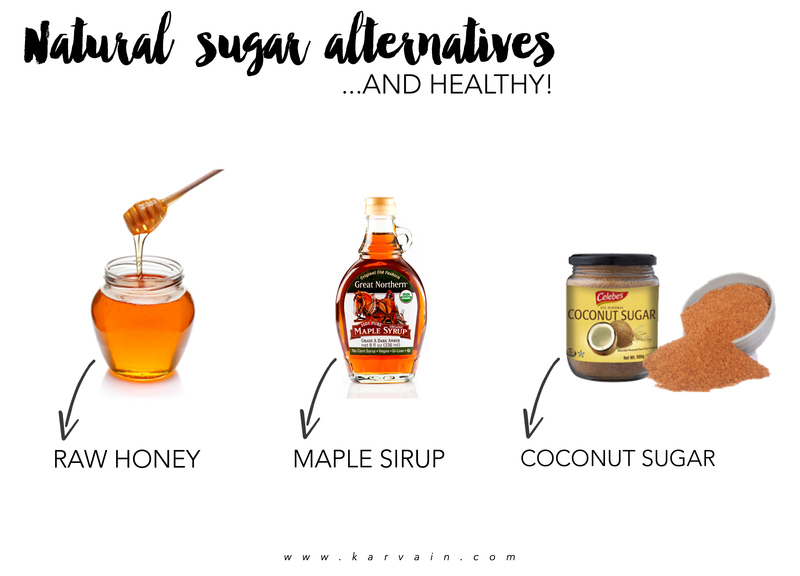 Easy tipp : if you want to replace sugar when baking, use ¾ of maple syrup per 1 cup of sugar and also reduce the recipes liquid content by 3 tablespoons. Coconut sugar is made from the sap of flower buds cut from the coconut palm. Because of the brown color, it’s quite similar to brown sugar, but it’s not. It can be used in baking, especially those recipes which call for brown sugar. Easy tipp : replace 1 cup of white or brown sugar in recipes with 1 cup of coconut sugar. Hope you’ll enjoy these tips my loves! I really love coconut sugar! Great post! Thank you Danielle! 🙂 Happy to see you here! I’ve never heard of coconut sugar! Honey and maple syrup have such a distinctive taste. I’ll have to give coconut sugar a try! honey is my go-to! it goes great with everything! This is very helpful, thanks for sharing!! But I fine This post very usefull!!! very ueseful and interesting post! Great post! Thanks for the tips! I’m always looking for healthier alternatives! Répondre à taislany Annuler la réponse.